The University of Cincinnati celebrated its move to the Missouri Valley Conference in 1958 by winning the league and advancing to their first NCAA Tournament, which at that time invited just 24 teams to participate. Though the Bearcats would bow out to Kansas State in overtime, it set the stage for an amazing run of five straight Final Fours starting from 1959 to ’63 that included two national titles. 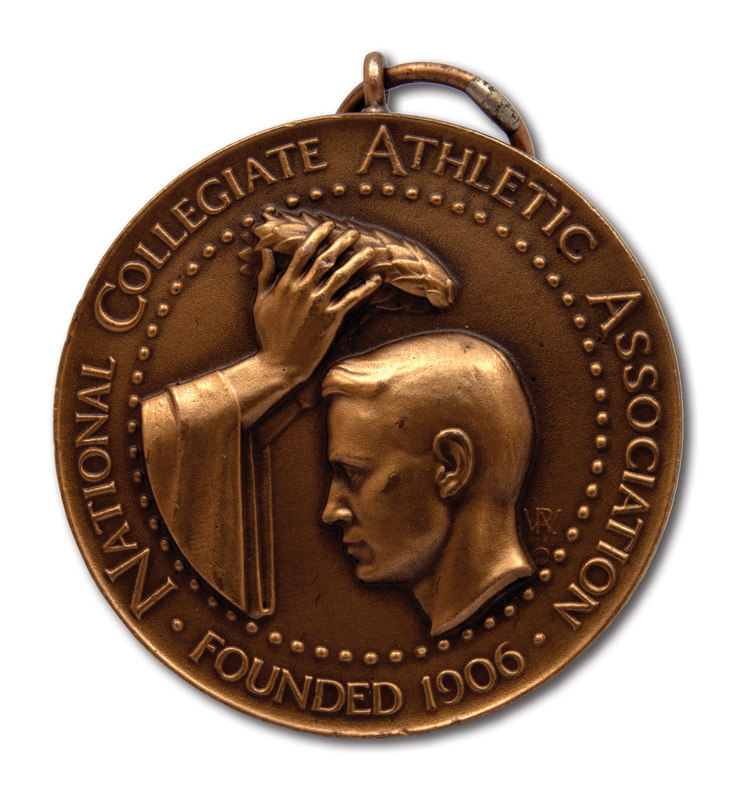 This ’58 NCAA tourney participation medal was awarded to the team’s star, sophomore Oscar Robertson, who led the nation in scoring in all three of his varsity seasons in college. The medal, which seems to be made of bronze based on its weight of 26 grams, measures 3.5 cm in circumference. 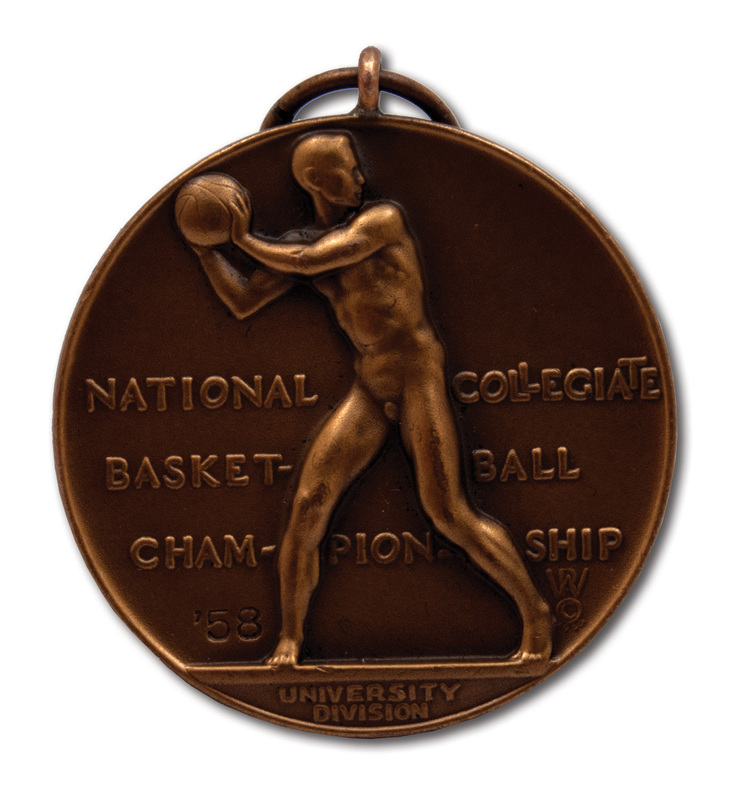 The obverse has an athlete being crowned with a laurel wreath and the reverse holds the inscriptions “National Collegiate Basketball Championship ’58” and “University Division” around a raised basketball figure. The medal was crafted by the Medallic Art Co. of NY whose hallmark is found on the edge of the piece. A suspension loop is mounted at the top of the medal. The piece shows light wear displays nicely. Includes LOA from Oscar Robertson.